I am sad to say that this will be my very last post on this blog after two years of blogging fun! 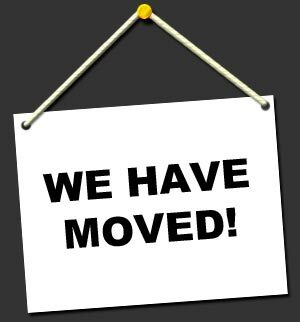 No, we haven’t moved (again) BUT . . . . . I HAVE A NEW WEBSITE!!!!!! Yes, you heard it here first. It looks a little like this . . .
AND you can go and have a look at it NOW! Just click on the image above and you’re away! Just when I was searching for some inspiration for my very first blog post of the year, the lovely Angela Sargeant posted about the 2012 Pantone Colour of the Year on her Facebook page . . . which just happens to be Tangerine Tango, thanks Angela! If you have never heard of Pantone, pop on over and have a look at their website. Their colour inspirations can be used in all parts of your world, from homewares to creative pursuits. 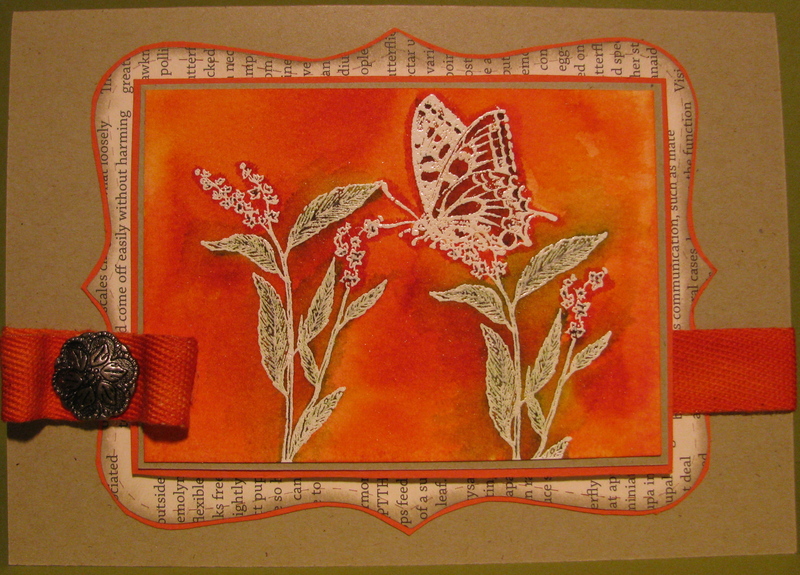 I obviously had Tangerine Tango on my mind when I sat down to create this card today. I also wanted to use watercolour paper, so I pulled out my Tangerine Tango re-inker and set to work. 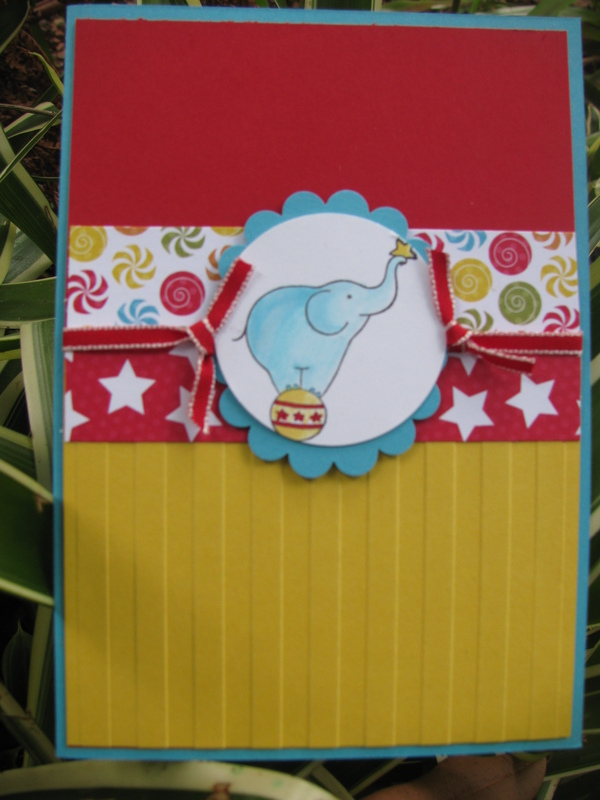 I also used the re-inker to colour the twill tape that I used for this project. If you would like to learn more about how to use the watercolour technique, stay tuned for my new 2012 class schedule . . . there may just be a watercolouring class coming up VERY soon! The WordPress.com stats helper monkeys have once again prepared a 2011 annual report for my blog!. I am a sucker for stats, so I thought I would share them with you and send a big THANKS to everyone who has visited, followed and contributed to my blog in 2011. A New York City subway train holds 1,200 people. My blog was viewed about 6,100 times in 2011. If it were a NYC subway train, it would take about 5 trips to carry all my visitors! 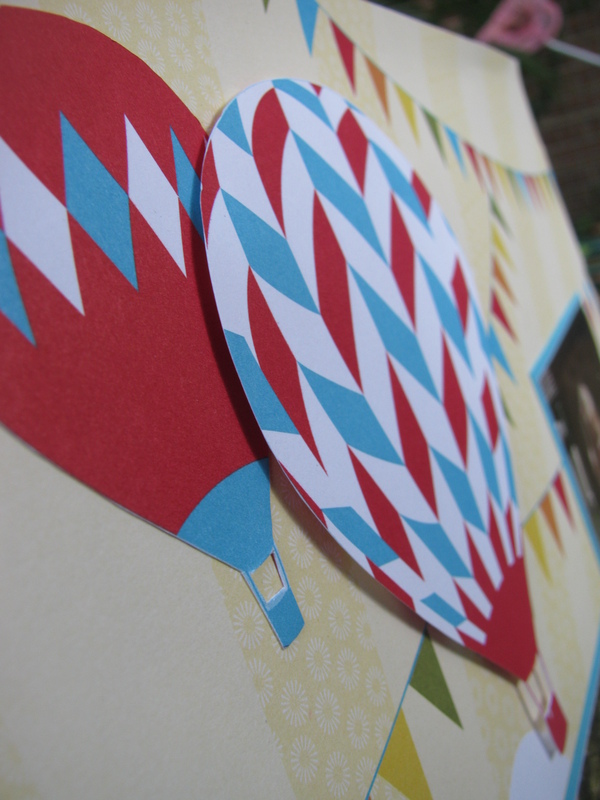 This post has very little to do with papercraft, although I was inspired to write it today as I was looking through my stash of photographs. Photographs which have been patiently waiting to be scrapped for just a ‘few’ years ;-). The story goes like this . . . .
On this day, 12 years ago, I was a 23 year old mother of a 3 month old baby. She was a little baby, a baby who didn’t sleep much, who fed poorly and who worried us (and Nanna and the paediatrician) to no end. We really had no idea what we were doing, but she smiled at us early and often and had this ‘look’ in her eye. A look which other people used to comment upon such as “She has been here before, hasn’t she?” and “She looks like she’s trying to say something”. 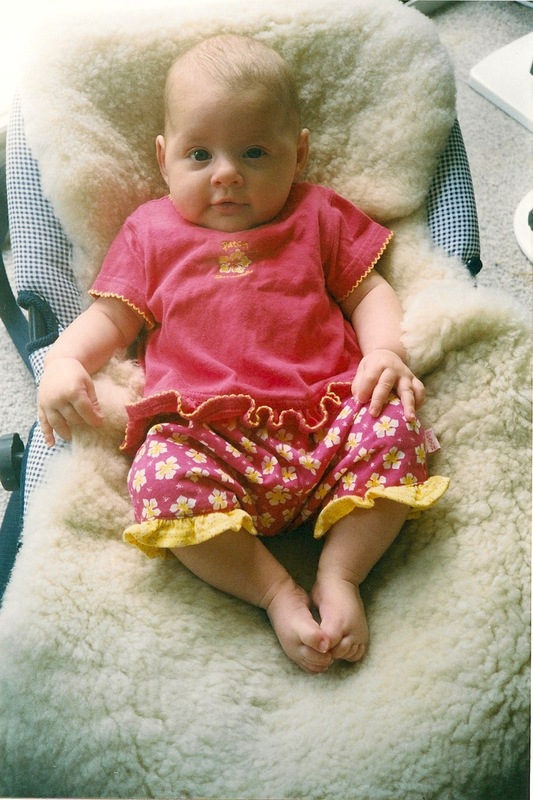 We were so tired and so despairing of this little person who had been sent to live with us, but we loved her to bits and plodded on through the years. 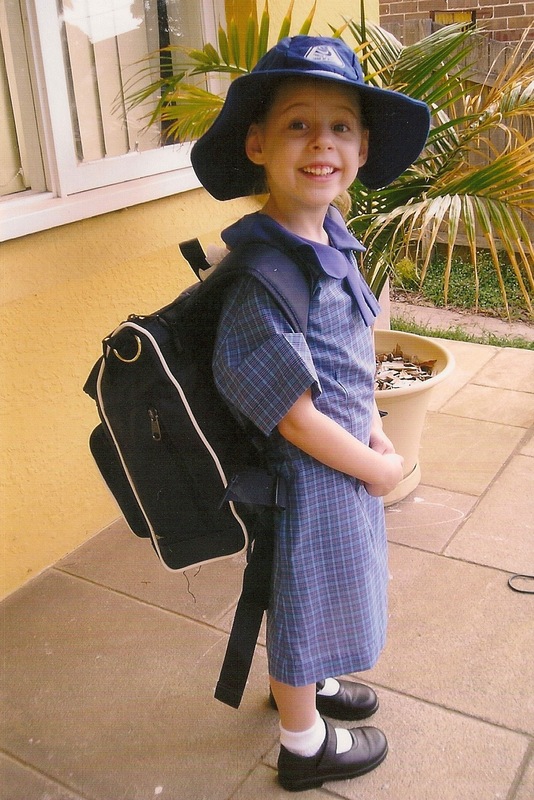 Then one day, she started ‘BIG’ school. She still worried us to no end, she still ate like a bird and she didn’t particularly enjoy sleeping either. But she still had ‘that’ look in her eye and we now knew that they had broken the mold when they made this one for us. So I cried. 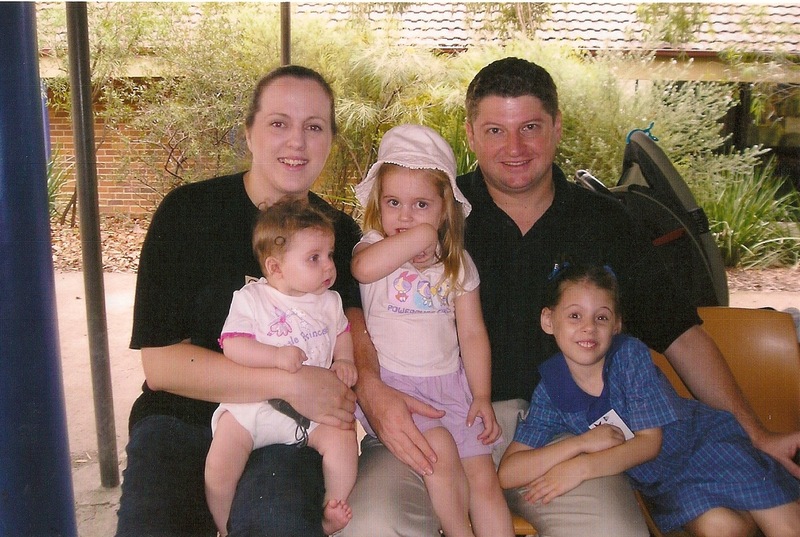 I cried all the way home pushing my double limousine pram and when I got home I sobbed some more. I put baby and toddler to bed and there was an awful silence, so I cried some more. 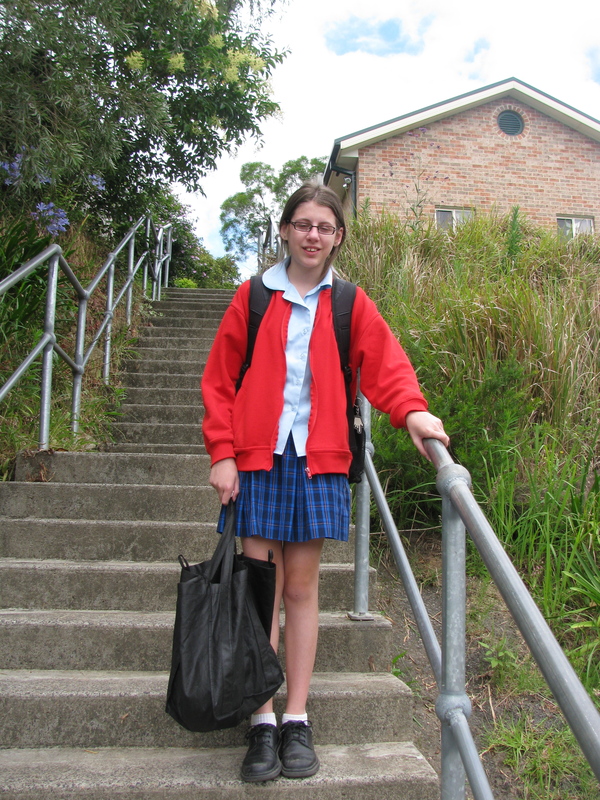 I cried because I had handed over my ‘baby’ girl into a huge school where she looked the same as everyone else in her little blue dress, hat and black shoes and I was fearful that they would try to change the shape of her mold, make her dance to the beat of their drum, just so she would fit in and not cause anyone too many headaches. My fears never came true. They came very close on a few occasions, but we survived. We’re all OK, she’s OK, my tears on her first day were tears wasted. 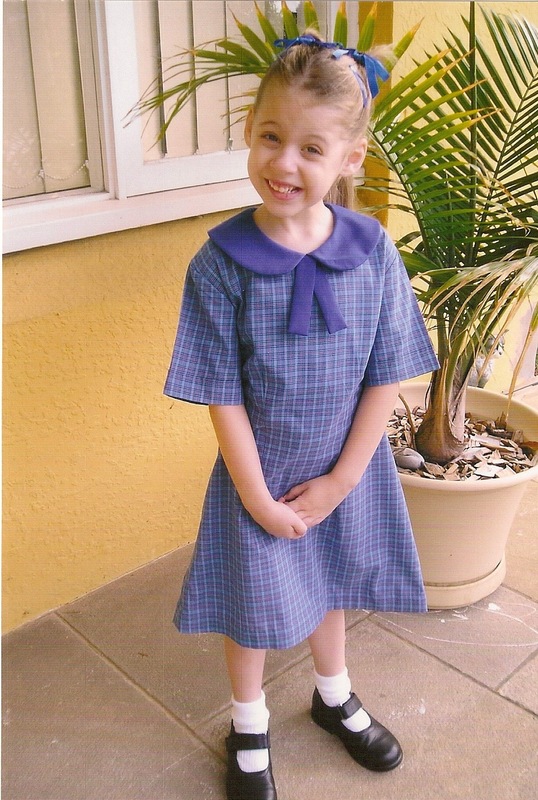 My worries over the years have been many, but we’re OK.
Today, she finished Primary School. 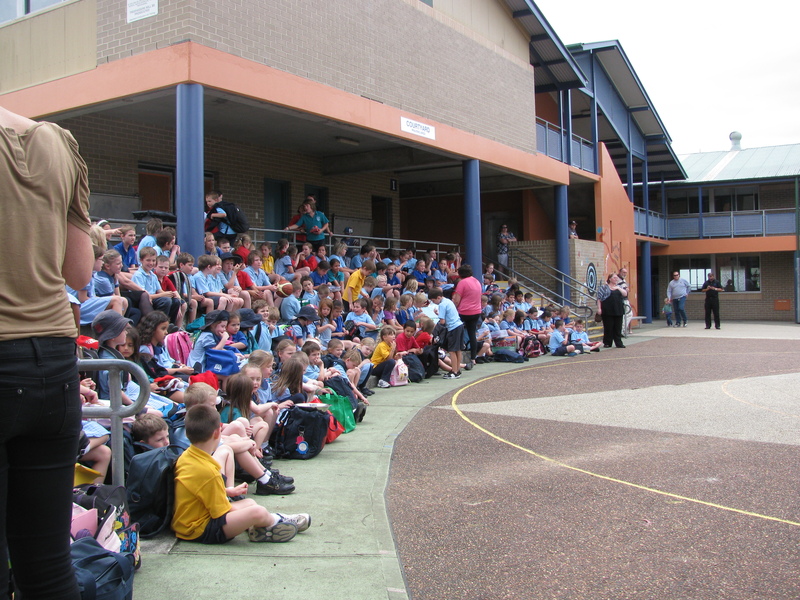 A new school, the most wonderful school, a school which I wish we had of moved to many years ago. 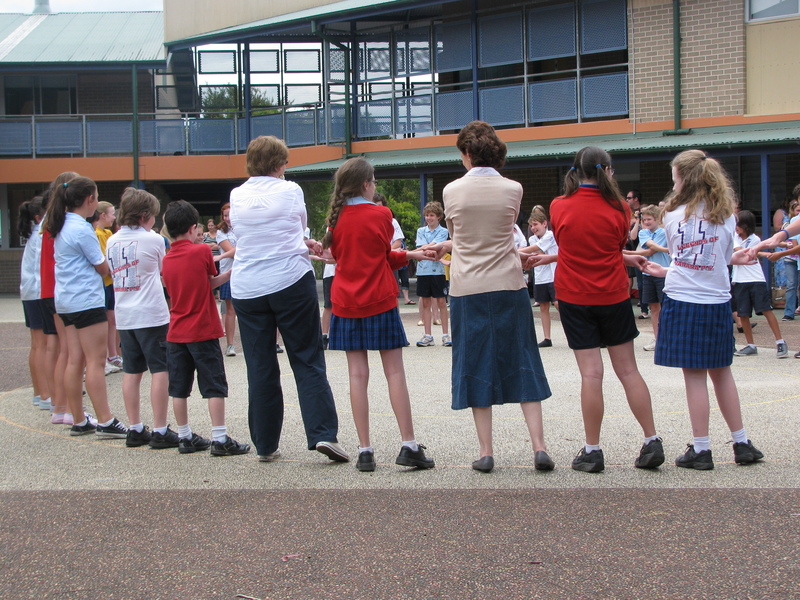 The teachers, God bless them, formed a Guard of Honour with the Year 5 kids. That mutant watermelon sized lump came back to visit. 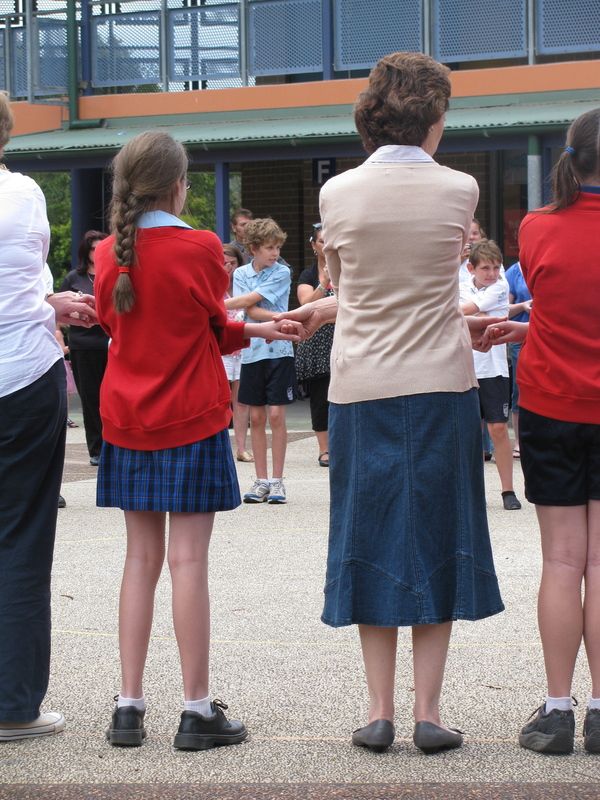 The school collectively cheered and clapped as the Year 6 kids formed a circle with their teachers and friends. 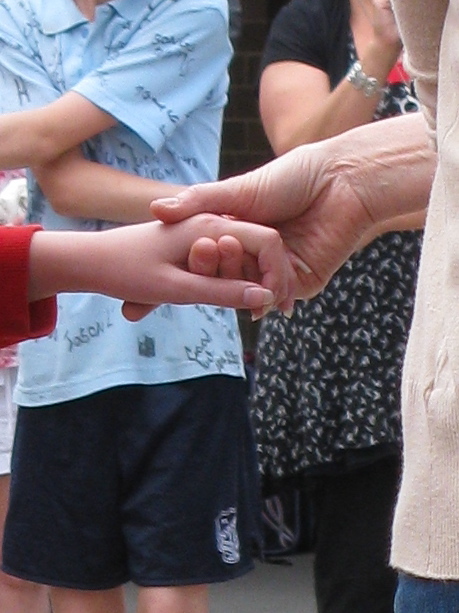 They joined hands and in a chorus of 400 voices, we all sang Auld Lang Syne. Everyone but me, I couldn’t sing. Curse that mutant watermelon. I cried because I am so damn proud of my baby girl, I am so proud of the beautiful young lady she is becoming, I am so proud that she is still very much an individual, she dances quite happily to the (sometimes odd) beat of her own drum and I am so proud that she has an incredibly bright future ahead of her. She still doesn’t eat much you know. 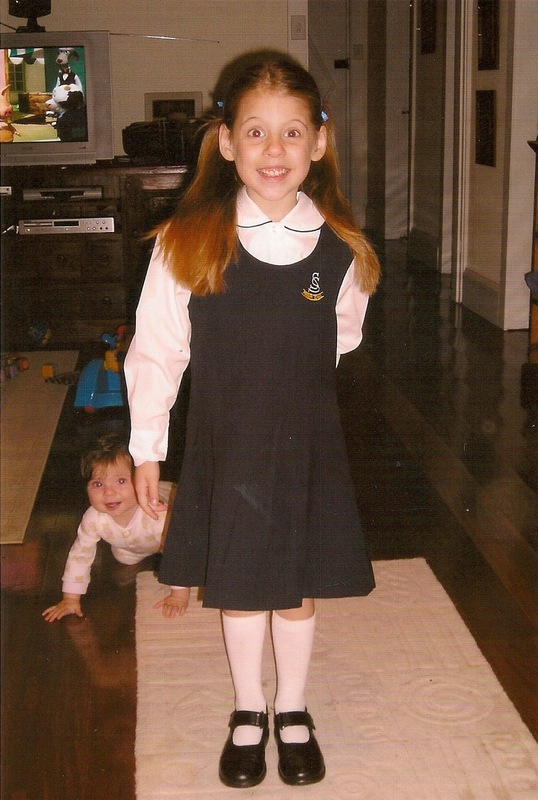 She goes to bed at 11pm most nights and she is adept at making grey hairs pop out of our heads at an alarming rate, but she’s AMAZING that baby girl of ours and she’s going to High School. She didn’t want me to take this photo. “I’m crying Mum, and my face is all red”. “Don’t worry”, I laughed, “you’re just ending it exactly the way I started”. I am one of those people who insists on sending heartfelt thanks to my children’s teachers on special occasions, Easter, World Teachers Day, Retirement 🙂 and of course, Christmas. I trustingly pack my kids off to school every day into the hands of these people and I know too well (as a teacher myself) just how much care and energy goes into educating and nurturing one child, let alone a class of 30 or so. 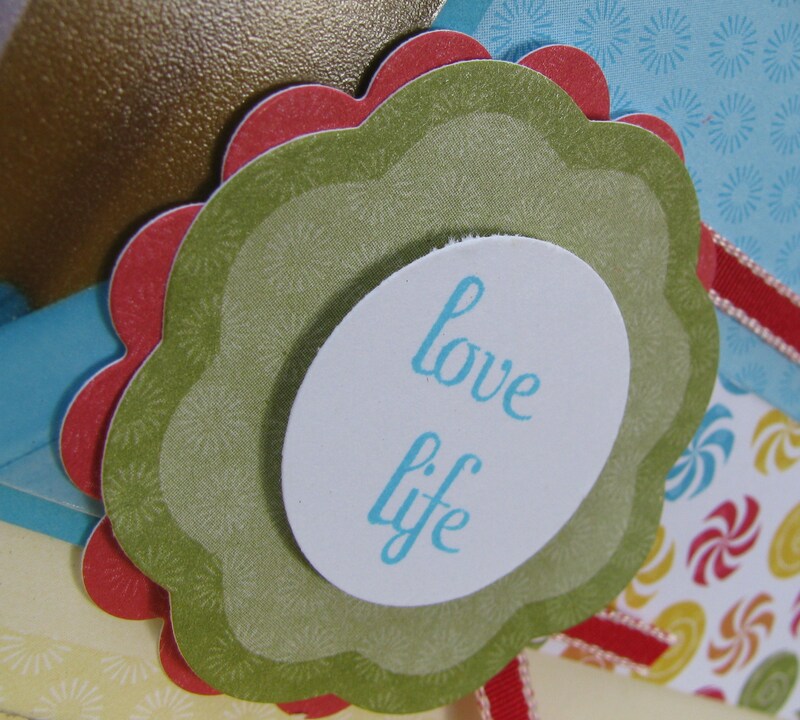 A handmade card with a note of appreciation is really all it takes! I like to think this is distracting my kids away from the commercialism of Christmas and instilling in them the value of giving. Anyway, as I am teaching my children the art of gratitude and appreciation, we took great pleasure in presenting my children’s teachers with their gifts this afternoon. 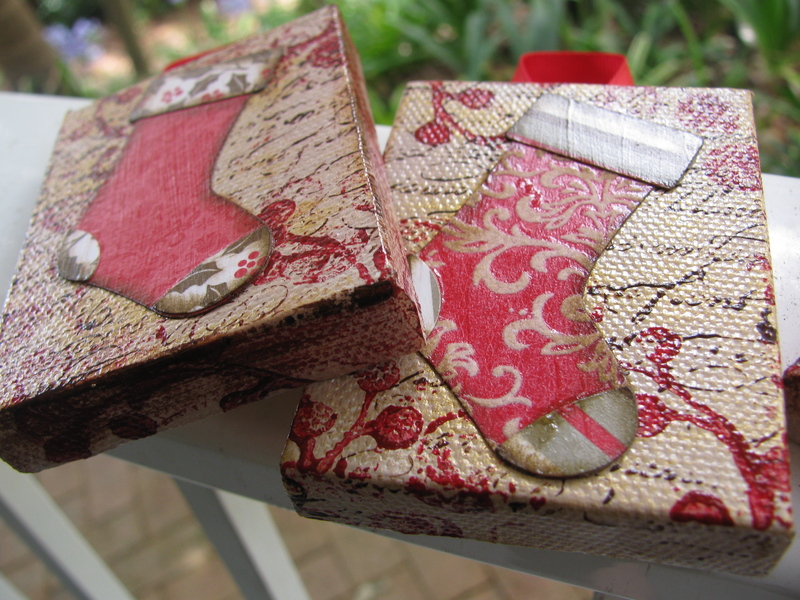 Their gifts were all handmade, with lots of love, time and thought poured into every piece of them. 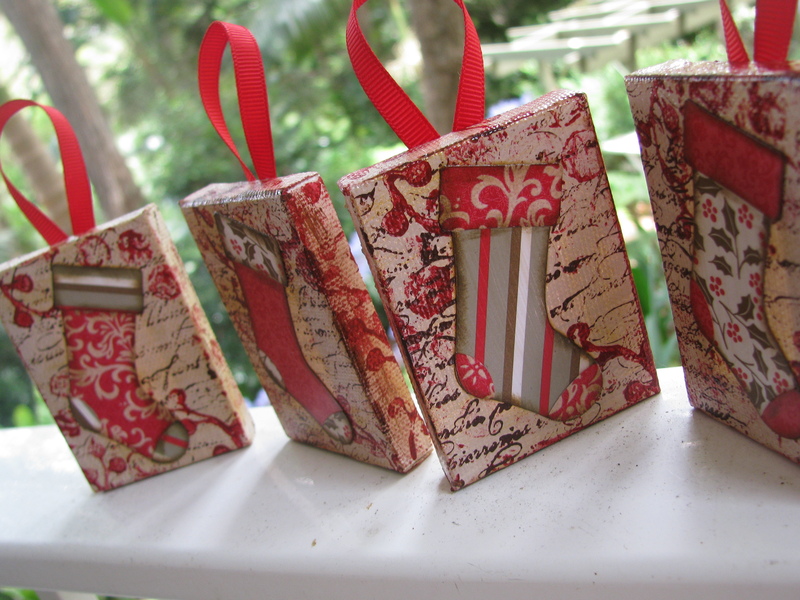 They weren’t expensive to make and we hope they will be something that they treasure for years to come. As this is the end of our first year at a new school, I also wanted to say thanks for making the transition so positive for everyone. 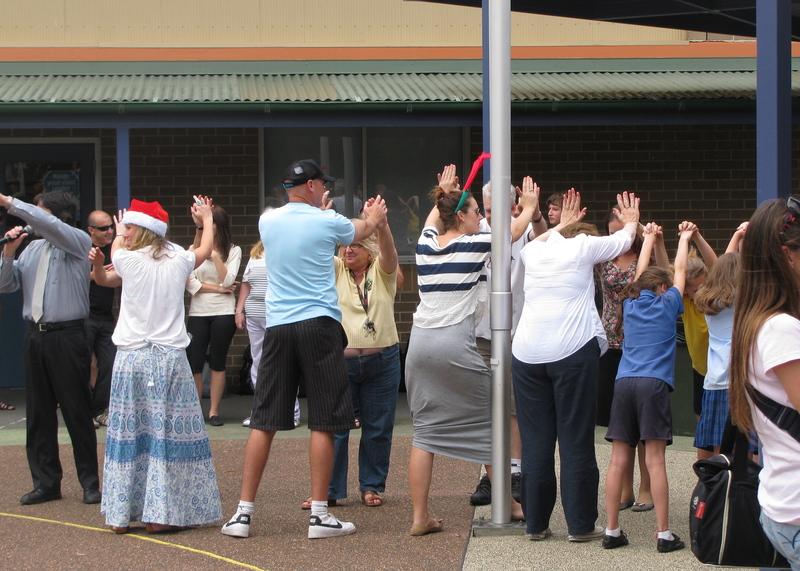 My kid’s teachers are gold.Their school is gold and I am one very lucky (and happy) Mumma! This was an ornament set given to my eldest DD’s teacher. 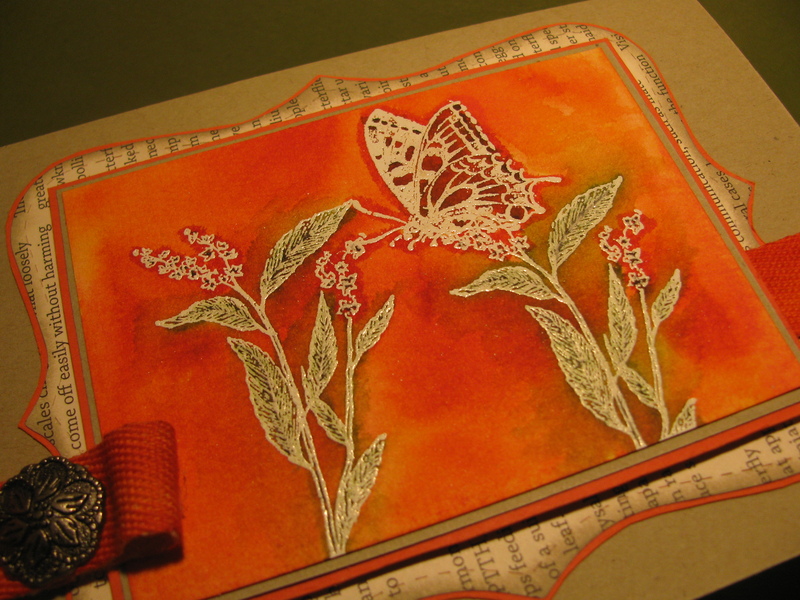 Paint can be used on Stampin’ Up! 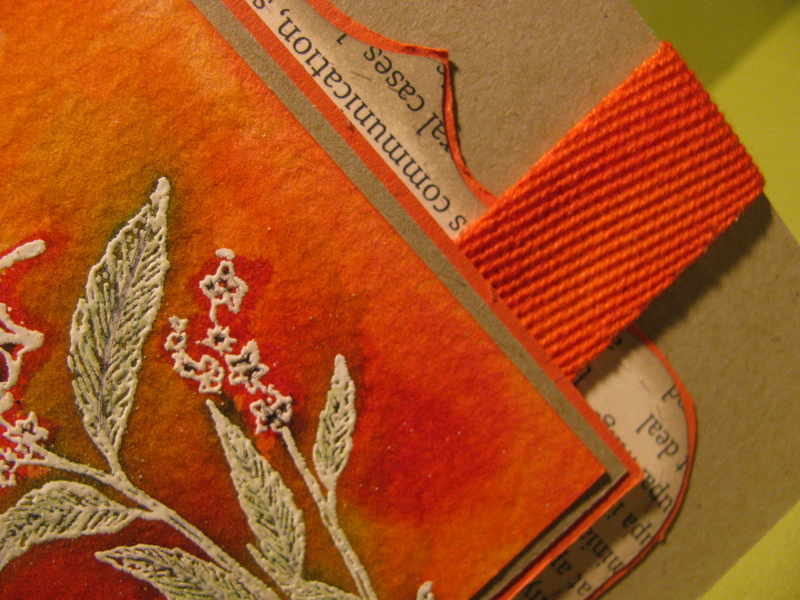 rubber stamps in place of ink. Apply evenly with a brush and quickly wash with water immediately afterwards. I make sure that I use quality acrylic paints to ensure good opacity. Base coat canvas in Opal. 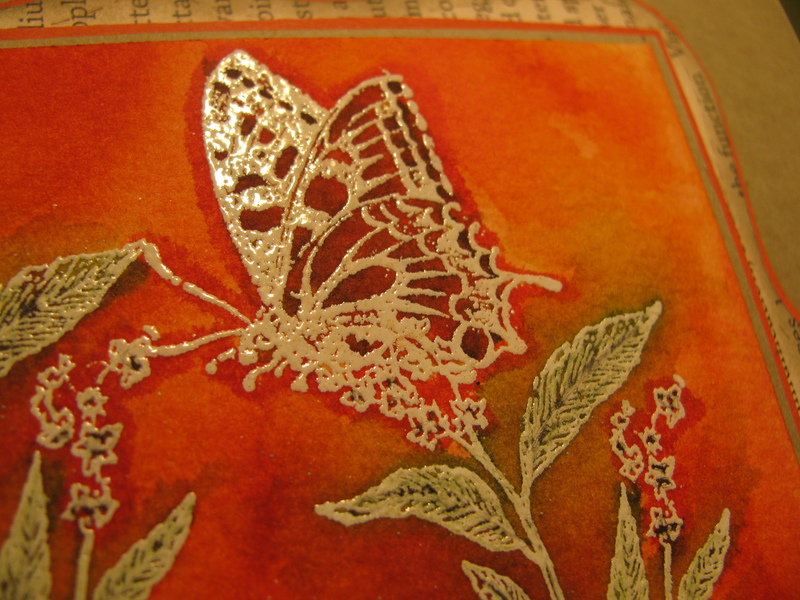 Dry brush gold metallic paint to accent. 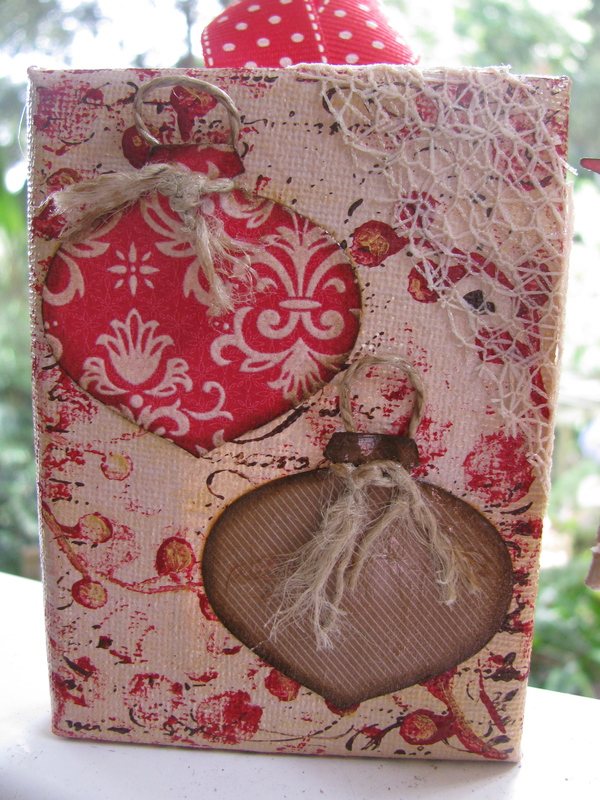 Stamp En Francais in Earth Brown across canvas – aim for uneven/imperfect effect! 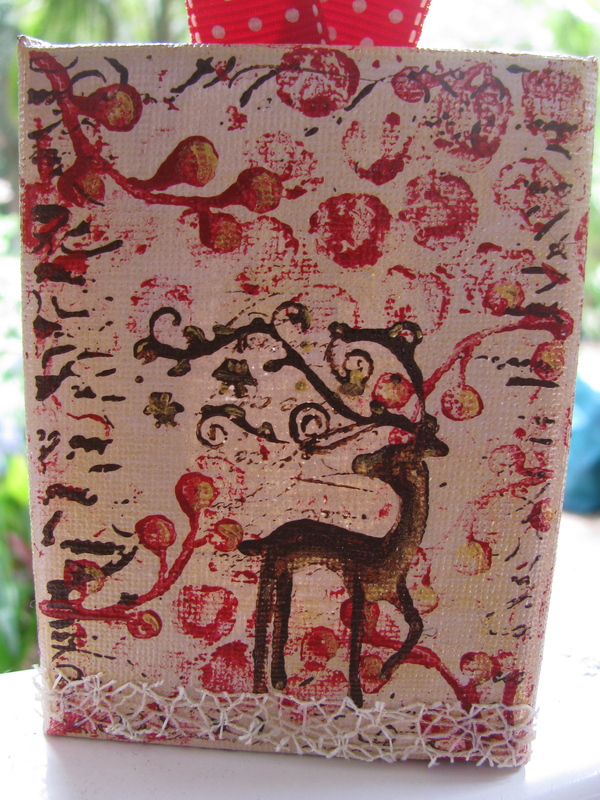 Stamp bubble wrap then berry branch in Crimson Red (mixed with small amount of Earth Brown to tone). Stamp off on scrap paper first to tone down intencity of the colour. Lightly sponge around punched shapes using Soft Suede. 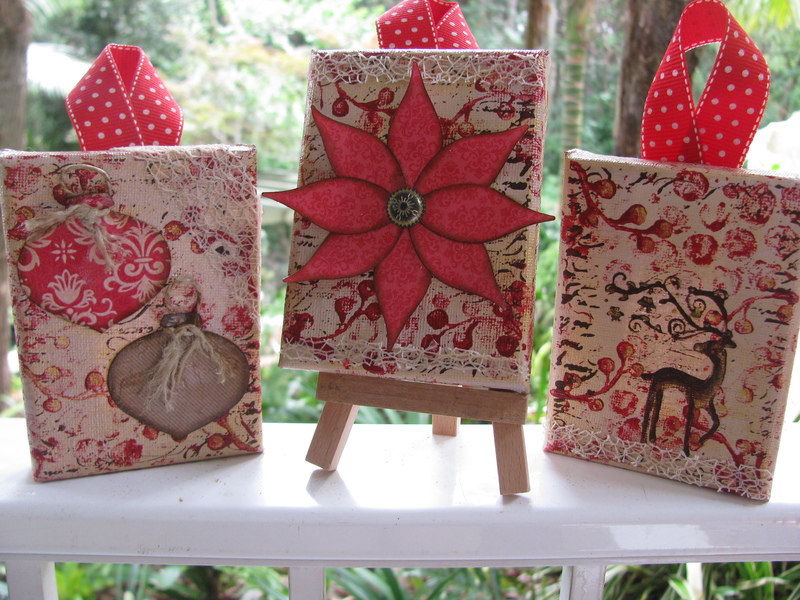 Adhere bauble shapes/flower to canvases using Mod Podge. 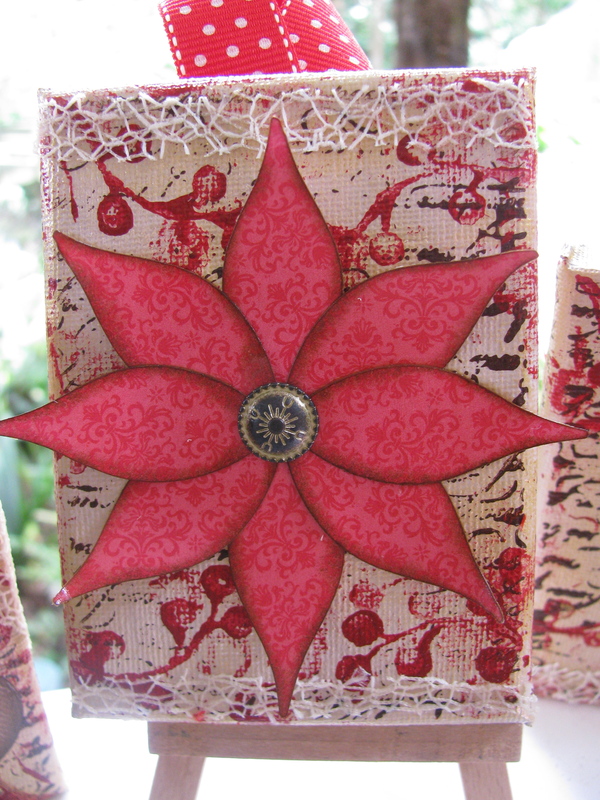 Stamp Dasher onto third canvas in brown, lightly accent Dasher and berries using gold. When paint is dry, coast entire canvas in Mod Podge for a shiny finish. Adhere ribbon to the back of the canvas and VIOLA! 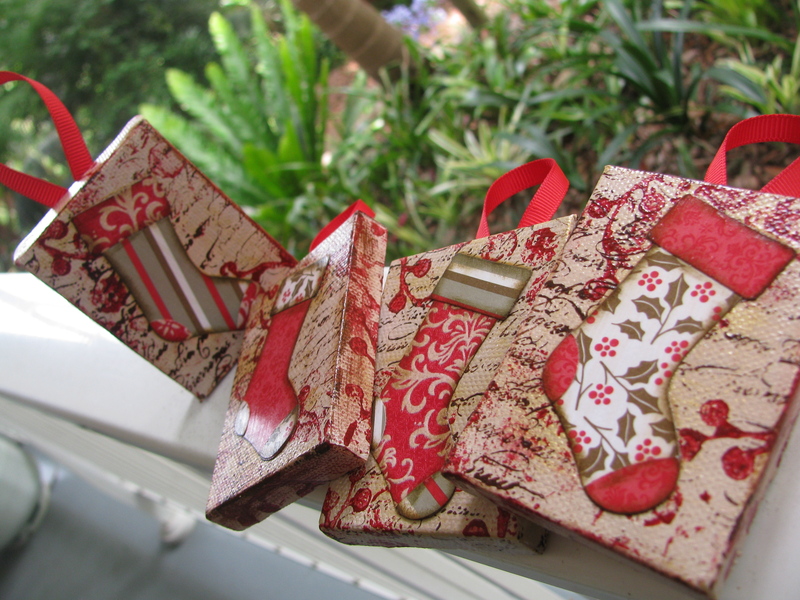 Pretty ornament to gift! THE best kind of frenzy you can have in December! 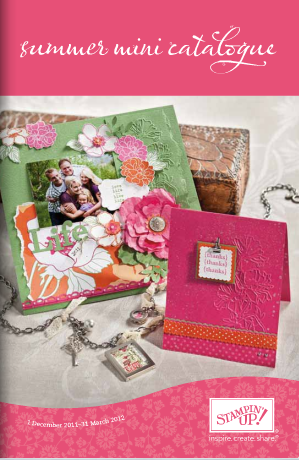 Who doesn’t love a NEW mini catalogue AND an amazing SALE? Products from this gorgeous little catalogue are available from today until the 31st of March 2012! If you would like a paper copy of the mini catalogue, please email me and I will pop one in the post for you! 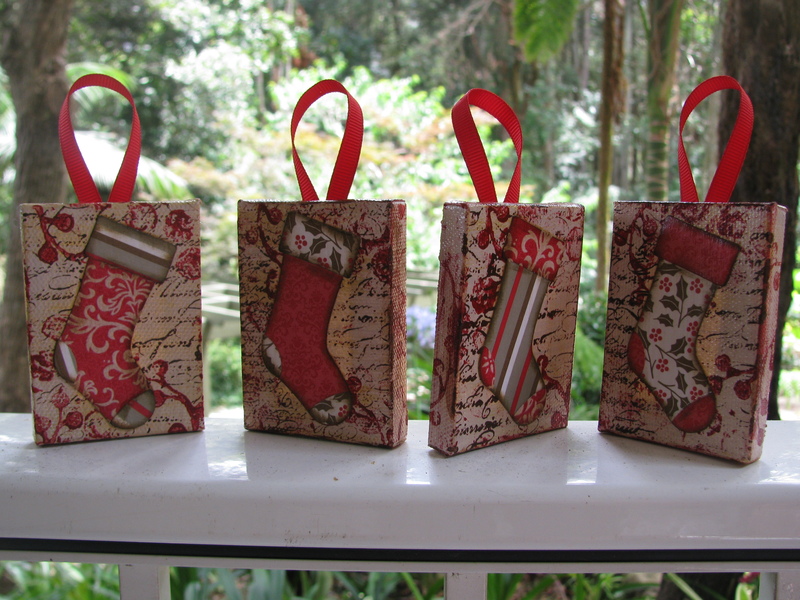 Products from the December Frenzy SALE are available to purchase until 31st December, 2011 or while stocks last! 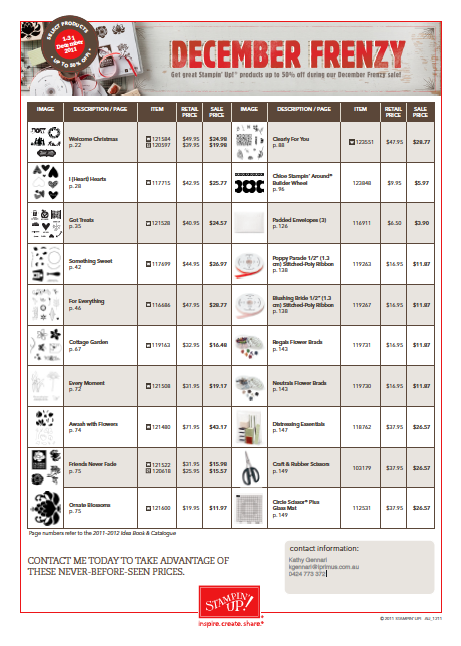 Click HERE for a PDF copy of the fabulous sale flyer. Now that I’ve waited until midnight to bring you these great special events – I’m off to bed before I TURN INTO A PUMPKIN! 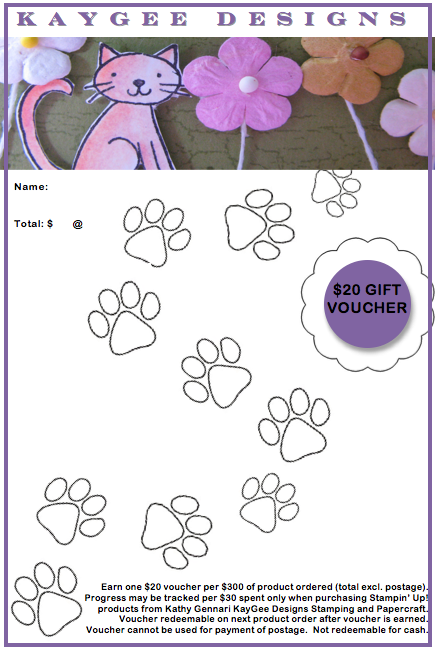 Now that the Fete is over, I can share some of the features of my stall with you! I didn’t want to give them away before the special day! 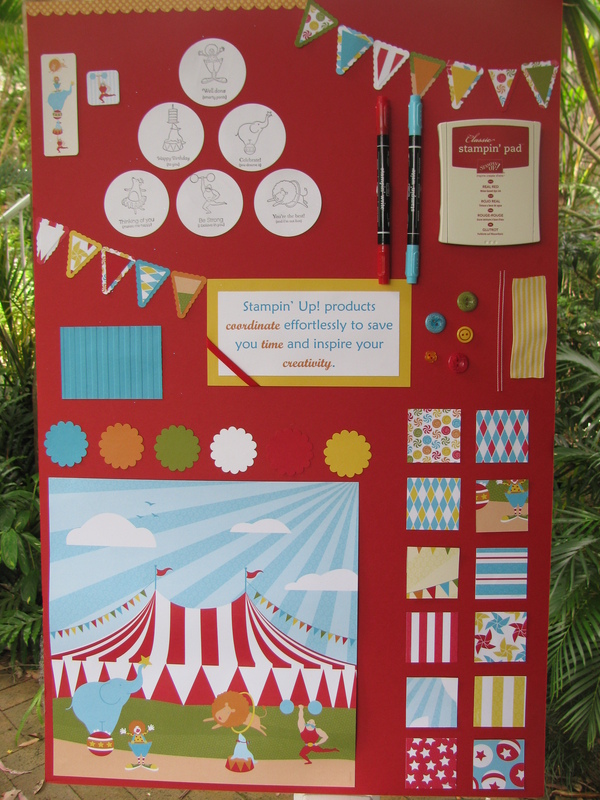 I created a board showcasing how beautifully Stampin’ Up! products coordinate with each other. All of my stall visitors were also excited by how the products coordinate and it was awesome to show people who have never seen the range before! 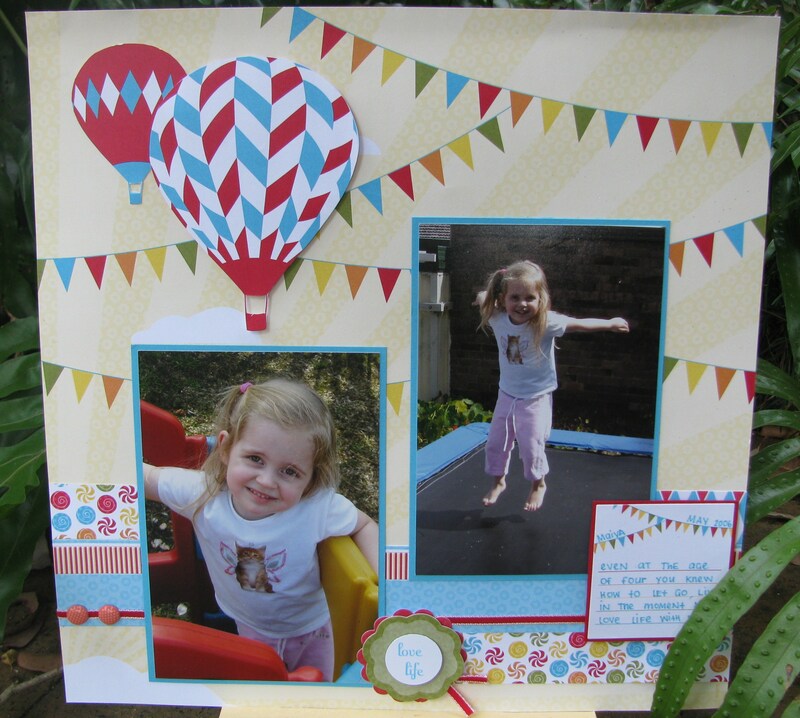 Add some cute little popcorn cups . . . .
a sweet Scrapbook layout featuring a very cute little girl . 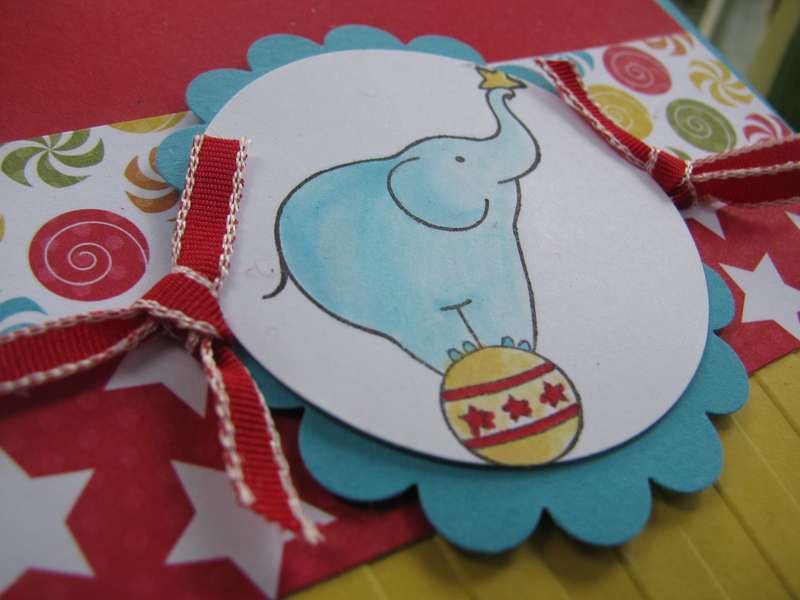 . . . .
and a cute card with a fabulous elephant . . . .
and we have a colourful, fun Fete stall! 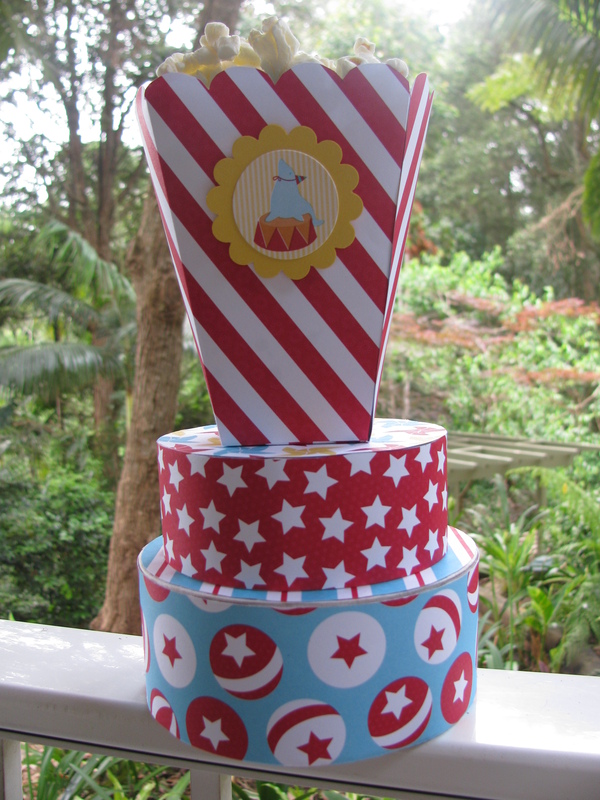 All of these creations were made using the amazing Big Top Birthday Suite which can be found HERE.